our review for Season 7, Episode 17. Many of Arrow’s biggest problems since Season 4 boil down to an overly large cast. It always seems like there are too many heroes and not enough room to do them all justice. And now with the series rapidly winding down, it’s all the more critical that the show clean the board if Oliver Queen’s heroic journey is going to receive the finish it deserves. The good news is that the writers seem mindful of the need to streamline things leading into the final season. The series already bid farewell to Echo Kellum’s Curtis, and we recently learned that Emily Bett Rickards is leaving after Season 7. Now it appears that Katie Cassidy-Rodgers is bidding farewell to the Arrowverse, too. 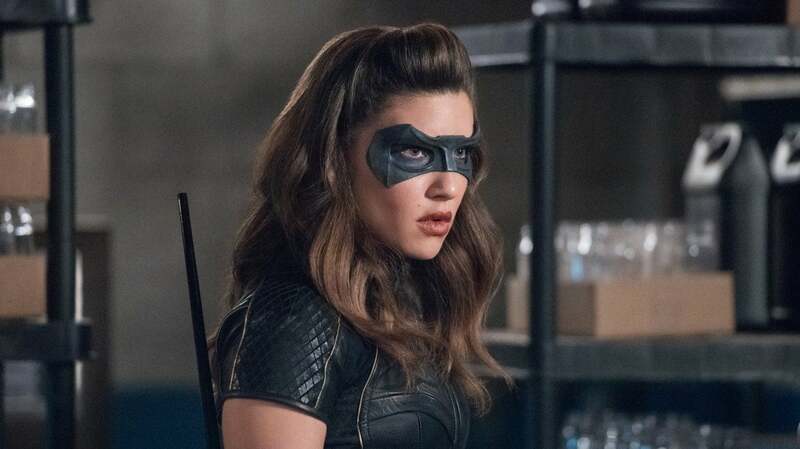 “Lost Canary” marked the end of Earth-2 Laurel Lance’s tenure in Team Arrow, and it’s not a bad way for this incarnation of the character to go out. Arrow: "Lost Canary" Photos 10+ IMAGES Fullscreen Image Artboard 3 Copy Artboard 3 ESC 01 OF 16 Katherine McNamara as Mia/Blackstar in Arrow's "Lost Canary" Episode 01 OF 16 Katherine McNamara as Mia/Blackstar in Arrow's "Lost Canary" Episode Arrow: "Lost Canary" Photos The CW Download Image Captions ESC "> . What Did You Think of Tonight's Arrow?